Represented by a pair of fish, Pisces is the final sign in the Zodiac. 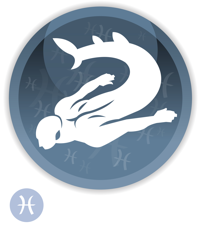 The Pisces man is often a catch all of characteristics, displaying many of the main traits of the other signs. He is generous and unworldly. The inner journey, the spiritual quest, and the emotional realm are what the Pisces man’s general focus. The emotions are what define this man. Speak to a Pisces man and you will often feel like you are having a conversation with someone who’s living in two different worlds. His mind will be half in this one and half in the other. The illusory world of dreams, shadows, and secrets is as valid to the Piscean as the reality of this one, sometimes more so. Ideals, ideas, and the imaginary – a Pisces man espouses these above the more ordinary reality of physical sensation. This inner focus of the Pisces man makes him mysterious and enigmatic to many people. It is hard to dig down to what he’s really thinking or feeling and he does not betray his own confidences lightly. 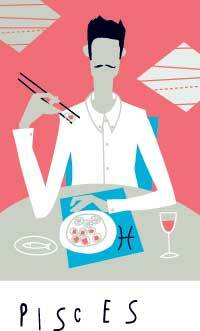 The quiet and unassuming Pisces man is a flash flood of passion in the bedroom. He loves fantasy and role-playing. Games in between the sheets are his specialty and he is a creative, generous lover. He is sensual, surprising, and seductive. Again, don’t judge the Pisces man by his gentle outlook – still waters run deep. In this case, still waters run to a whirlpool of desire with the Piscean who has had the floodgates unlocked. His intuition and eagerness to please mean that the Fish has a Casanova-like skill to give liquid, intense sexual satisfaction. Uniquely perceptive, this man’s understanding of people makes him popular within his social circles. 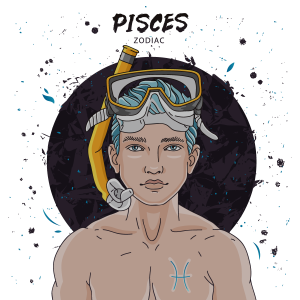 The easygoing and selfless Pisces man has friends from all walks of life, all personalities, religions, and ethnic origins. This Pisces man can be emotional and compassionate, but never mistake these for signs of weakness. In fact, these are strengths, and if you stick around long enough, you’ll discover exactly how this is so. The handling of money isn’t always this man’s strongest trait. As perceptive as he can be, the Pisces man can also be impractical and find himself making financial decisions based on emotion rather than common sense. Easily influenced, the Pisces man must be wary of those who are trying to sell him financial advice, insurance, properties, or get-rich-quick schemes. The Pisces man can get caught up in the moment and let rational thinking escape him. The Pisces man is well aware of the latest in men’s fashion, so you will see him sporting the current styles in clothing and footwear. Leaning toward the impractical side, this man tends to acquire more than he really needs and will often buy on impulse. 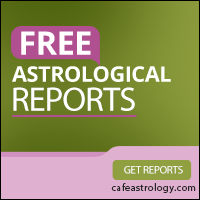 The emotional intensity of a Pisces man can make him susceptible to headaches, but they could also be a result of some overindulgence. Too many late nights, a second trip to the buffet table, and that extra drink can all play havoc with this man’s health and contribute to his sometimes low levels of energy. The corporate world isn’t a place for the Pisces man, so forget a normal nine to five office job. This man needs to use his creativeness, and when allowed to do so, will devote himself wholly to the tasks at hand.